HYPATIA DE ALEJANDRÍA is Baleària’s first ferry powered by LNG. She recently started sailing between Barcelona and Palma de Mallorca. The ferry arrived last Sunday night (27 January) at the port of Barcelona, ​​coming from the Visentini shipyard near Venice. 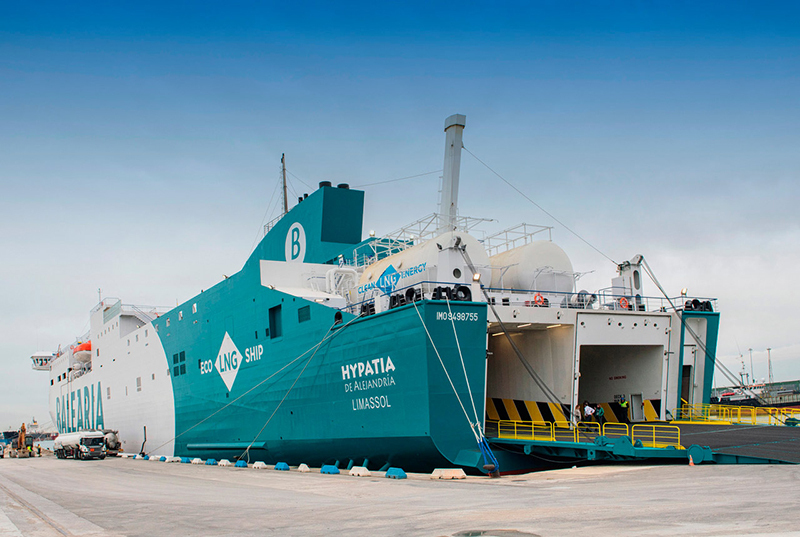 “HYPATIA DE ALEJANDRÍA marks an important milestone both in the history of Baleària and the Mediterranean, being the first passenger ferry powered by natural gas that crosses these waters,” highlighted Baleria’s CEO Adolfo Utor. A second vessel will follow later this year. digitization of all the signage. access to the cabins without going through the reception, thanks to the QR code that customers will receive on their mobile. the camera system installed in the pets zone (which will allow passengers see them at all times through their smartphone). self-service totems in the cafeteria and self-service (from where passengers will place their orders, and they will be notified to pick them up through digital screens, avoiding queues).